Best-selling author Tom Clancy, best known in the video game world for his work on big franchises like Splinter Cell and Ghost Recon, has passed away. The New York Times confirms that Clancy died in a hospital last night. He was 66. In 1996, Clancy helped found a video game development studio called Red Storm Entertainment, where he would go on to develop a number of big video game franchises—some based on his books; others original. Red Storm was later purchased by Ubisoft, the publisher that continues to make games under Clancy's name. His most recent release was the stealth-action game Splinter Cell: Blacklist. "We are saddened to learn of Tom Clancy’s passing and our condolences go out to his family," Ubisoft wrote on their Facebook page this morning. 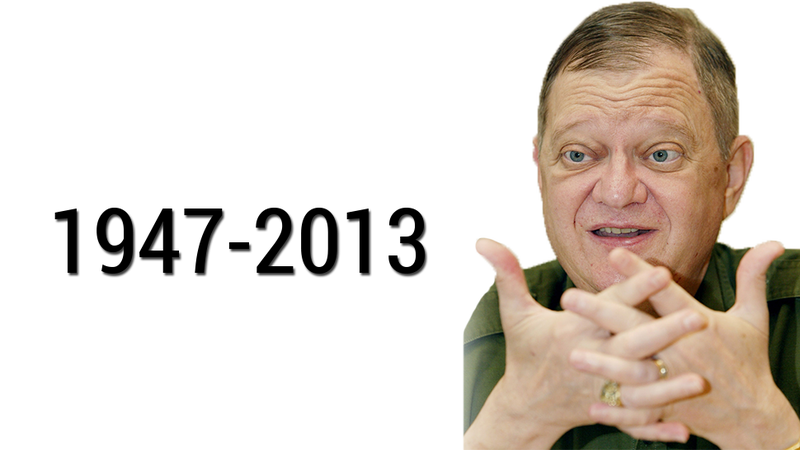 "Tom Clancy was an extraordinary author with a gift for creating detailed, engrossing fictional stories that captivated audiences around the world. The teams at Ubisoft, especially at the Red Storm studio, are incredibly grateful to have collaborated with and learned from him, and we are humbled by the opportunity to carry on part of his legacy through our properties that bear his name." Other games that bear Clancy's name include the Rainbow Six series, The Hunt For Red October, and the upcoming next-gen game Tom Clancy's The Division.